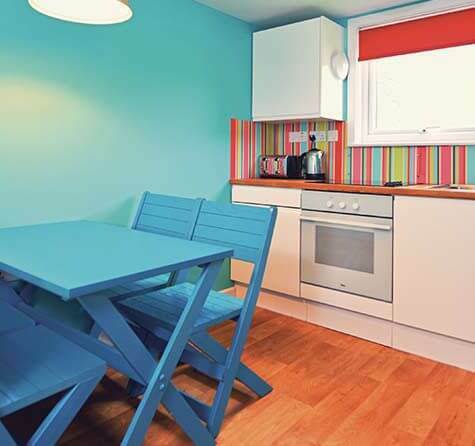 The central positioning and bright interiors of our Seaside Apartments in Minehead make them a perfect place to call home during your Butlin’s break. 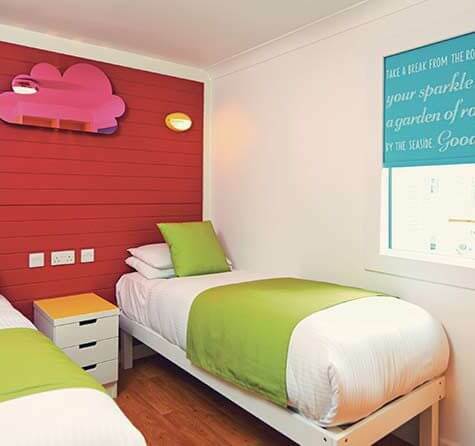 Minehead is now offering new Seaside Apartments that have been designed with seaside memories and family time in mind. Set at the heart of our resort, your holiday apartment will be a short stroll away from our Skyline Pavilion and Minehead’s sandy beach. 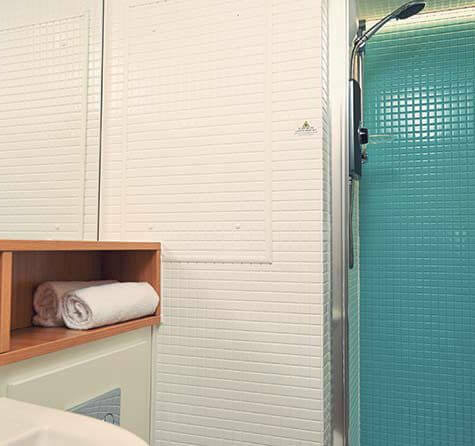 Perfect for you to truly enjoy Butlin’s by the sea. 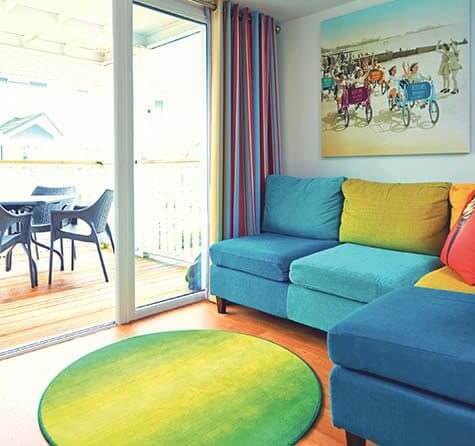 Available with two or three bedrooms, our Seaside Apartments offer light and bright interiors with L-shaped sofas, an open-plan lounge, and a kitchen and dining area for all the family to sit down and enjoy spending time together. There are also plenty of touches throughout to make you smile; look out for our candy floss night lights in the twin bedroom and a magnetic pin-the-tail-on-the-donkey game which is sure to have the whole family in giggles. Some Seaside Apartments also come with balconies or patios, providing you with extra space to rest and relax in the outdoors after a long day of fun, or whenever you fancy! 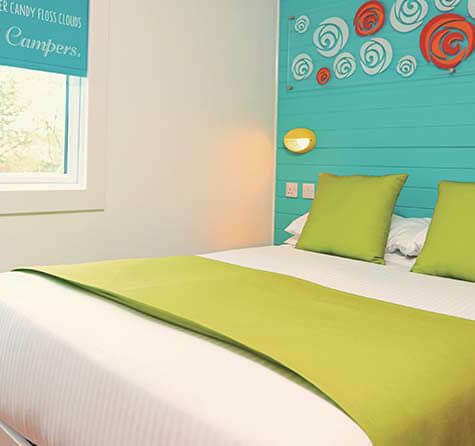 *Images are taken from our Skegness Seaside Apartments – Minehead Seaside Apartments may vary.